The ECHO 58-Volt Cordless Hedge Trimmer is the most advanced, professional grade high voltage cordless Hedge Trimmer in the industry. 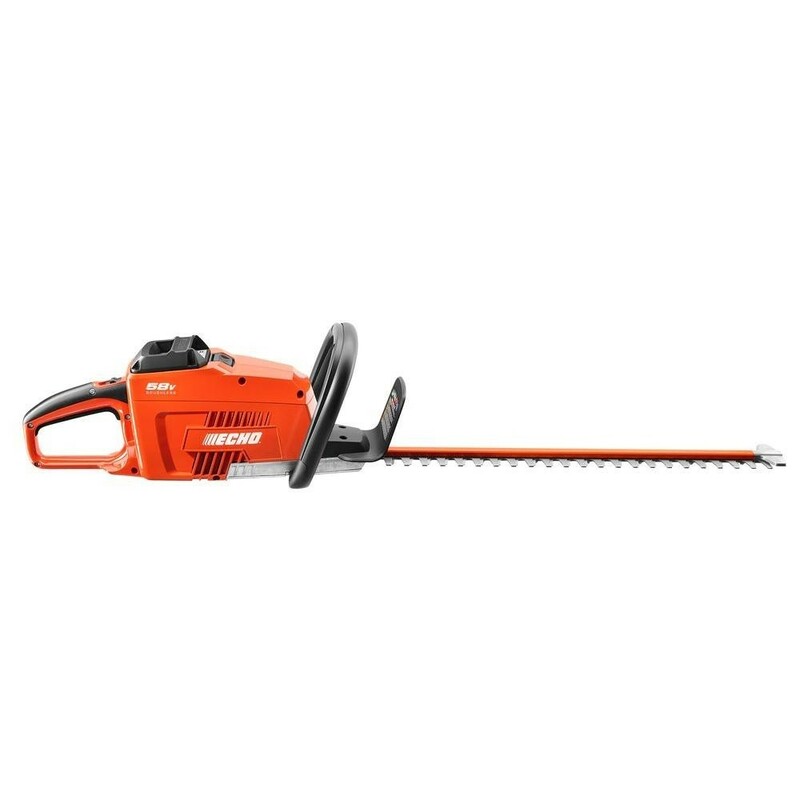 Featuring a unique brushless motor designed to deliver superior power, run time and durability, the ECHO Hedge Trimmer can handle even the thick branches up to 3/4 in. Dia. Equipped with 24 in. 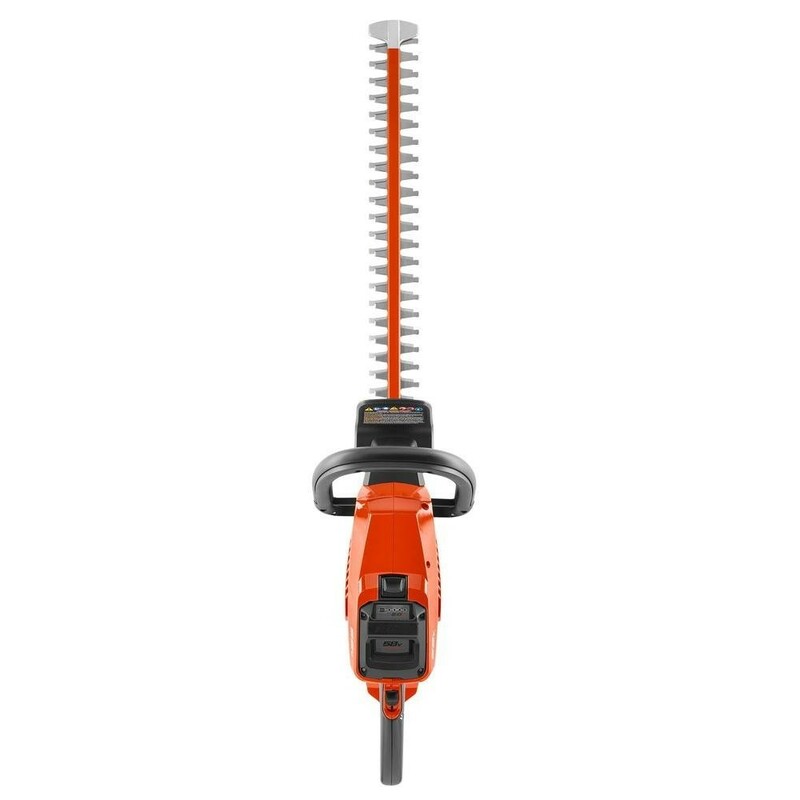 dual action blades, this Hedge Trimmer provides extended reach and low vibration. 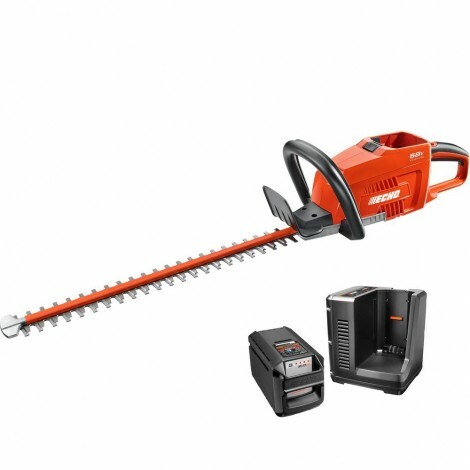 For continuous cutting, this Hedge Trimmer is equipped with automatic Anti-Jam Technology. The Hedge Trimmer, Battery and Charger are all backed by an industry-leading 90-day money-back guarantee, a 5-year consumer warranty and a 2-year commercial warranty. Some companies offer lower prices only to make up for it with hidden shipping charges. At Mower Source we believe the purchase process should be simple. That's why every product we sell ships for free! Many companies charge extra for shipping insurance, not at Mower Source. Shipping insurance is included with every order we ship. Not only is shipping free, its fast! Mower Source has partnered with some of the quickest and most reliable companies in the industry. All products under 150 lbs - ship via FedEx Ground. All products over 150 lbs - ship via FedEx Freight. All RESIDENTIAL Freight Shipments will receive a phone call from the trucking company to schedule delivery. Lift Gate Service is recommended - for all residential freight items where a customer does not have access to a loading dock or fork lift.. This service is offered at only $50.00. That's right; your mower will be safely lowered to the ground for you. All mowers ordered by 1pm CST. Will ship the same day- Anything later will ship the next business day. All orders can be tracked through your Mower Source account. All products are shipped FREE to any location in the lower 48 states. See all our great specials and clearence items.